Authority Health › Food & Nutrition › Should We Be Eating Dairy Products? Should We Be Eating Dairy Products? Dairy products are a particularly contentious battleground in nutrition theory these days. They are cherished by the health organizations as an essential food for bone health while others say it is bad for us. It could be, depending on the particular circumstances, that both camps could be right. A lot depends on how the cows were fed, what processing methods were used and how a given person's system reacts to dairy. This is an argument that is made regularly and it makes some sense; no other species drinks milk once it has reached adulthood and no other species drinks milk from a different species. The reason calves drink milk is to allow them to grow, a process that's just not needed by most of us as adults. And drinking cow milk is a recent addition to our diets - before humans learned to farm for food, the only milk we would drink was mother's milk. So it's hard to say that we need milk as an evolutionary imperative. Having said that though, there are a number of cultures worldwide that have been using milk as a nutrient for centuries and studies into these cultures have identified genetic changes to allow for dairy products to be consumed. What that means is that there are those of us who have adapted to it genetically and this is a pretty compelling reason to consider it natural. Lactose is the primary carb found in dairy and consists of two basic sugars - galactose and glucose. When we are born, we are able to digest our mother's milk but as we age this enzyme starts to fall away and we can no longer do so. It is estimated that about a quarter of the world's population retains the ability to process lactose. The rest are lactose intolerant. Those who are intolerant to lactose find that they have digestive issues after eating it. They may vomit, feel nausea or even have bouts of diarrhea. But even the lactose intolerant are sometimes able to process high-fat dairy or fermented dairy. Being unable to digest lactose can also contribute to other conditions such as bad breath and body odor as the lactose sits in the gut undigested. If this is something you develop, there are some solutions, including cutting out dairy. So while there are definite drawbacks, especially for some people, to eating dairy, on the other hand, it packs high nutritional value. It needs to feed a young calf and so contains fatty acids, proteins, etc. Considering that our own bodies are similar in makeup, it does make sense that these products can be good for us as well. If you look at the calorie value, milk offers a great deal of nutrients and some amount of just about everything we need. Calcium is one of the nutrients dairy is most well known for. Again, it does depend on the type of dairy - high-fat dairy, like butter, is very different to milk. And the nutrient value is also influenced but what the cows were fed. Grass-fed cattle have much higher levels of Omega-3s and as much as five times as much CLA. There are also supplements where you can get these nutrients. There are also notably higher levels of essential fat-soluble nutrients such as Vitamin K2. (Keep in mind that you get none of these fat-soluble vitamins in reduced-fat dairy and that it is probably pumped up with sugar to enhance the flavor. The main nutrient from which are bones are formed is calcium and dairy is the best possible source of calcium in today's diet. So it follows that consuming dairy can benefit your skeletal system. And health wisdom holds that we ought to consume up to 3 portions of dairy a day. But the tide on that is turning as it appears that in those countries where dairy is consumed often, cases of osteoporosis are also high. The reverse is true in countries where consumption is low. That is not to say that we should not eat dairy because it will cause osteoporosis as conditions in these countries are very different. But it is a point to keep in mind. There is overwhelming evidence in favor of dairy for bone health. Add in the other range of benefits and dairy is an important factor. When it comes to full cream dairy, there are some important benefits that cannot be ignored. Studies have shown that it is linked to decreased risk of obesity, despite the high-calorie count. Low-fat dairy does not have the same protective effect. It is also believed that consuming dairy fat could help protect against diabetes. In one Harvard study, it was shown that those who ate the most full cream dairy had lower levels of inflammation, belly fat and triglycerides and had a 62% smaller chance of developing adult-onset diabetes. 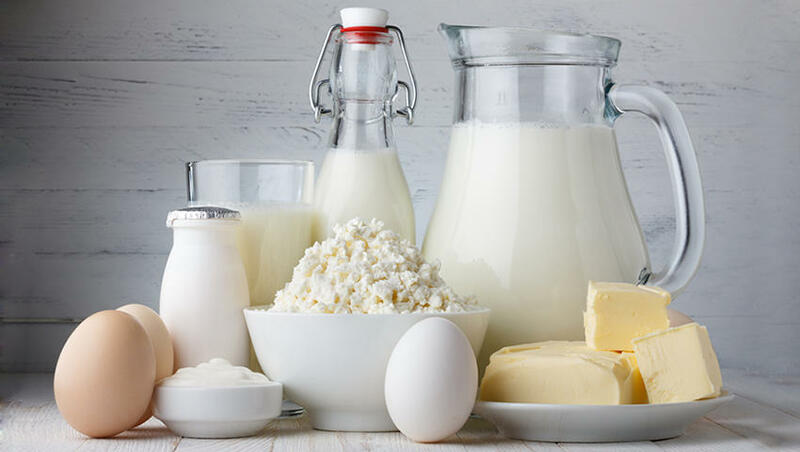 In this study, those who consumed the most full-fat dairy had less belly fat, less inflammation, lower triglycerides, improved insulin sensitivity and a 62% lower risk of type 2 diabetes. Several other studies show that full-fat dairy is associated with a reduced risk of diabetes, but a number of studies show no association. We now know that saturated fat is not the big bad guy and that there is no reason to avoid it. A lot does depend on the quality of the dairy though. Full-fat dairy seems to protect against cardiovascular disease in most cases. Where the cows are raised on grass, however, significant reductions in the risk of heart disease were found. This has been attributed to the high K2 content of cattle fed on grass but dairy as a whole improves biomarkers across the board. It is a known fact that dairy stimulates insulin release as well as IGF-1. There is a school of thought that links these hormones to an increased cancer risk. The issue is a complex and not one that can be adequately dealt with here. In some studies, a very definite link was proven and in others, the link was tenuous at best. The benefits derived from eating dairy ought to be fully considered before labeling it bad. If you want to consume dairy you want dairy that is full-cream and that has come from cows that are grass-fed and pasture raised. This kind of dairy has more nutrients and is more beneficial. Also, include some fermented dairy such as yogurt and kefir in order to get beneficial probiotics. There has been a trend towards using raw, unpasteurized milk on the basis that pasteurizing does have some negative effects on milk. On the other hand, raw milk can carry dangerous bacteria like salmonella, E. coli and listeria. And you need to use it more quickly too. For those who cannot handle cow's milk, some say goat's milk works for them. Dairy seems to be one of those topics where we don't know all the answers. Some can handle it, some can't. If you can, it seems to be a nutritious alternative. Stick, as much as possible to grass-fed, full-fat dairy. Low-fat dairy should be avoided as a processed food that is high in sugar.